KELOWNA, British Columbia – Brock Radford (DeWinton, Alberta) earned his second win in eight days Wednesday night, taking the buckle at the Okanagan PBR Challenge, the first Canadian Touring Pro Division (TPD) event to be held Kelowna. After riding Snapbacks (Skori Bucking Bulls) for 80 points in Round 1, the 22-year-old recorded the only qualified ride in the short go, lasting the full 8 aboard Pozzy Time (Wild Hoggs Bucking Bulls) for 84.5 points. Radford, who double entered, also tied for sixth backed by his 82-point ride aboard Little Moe (Vold/Prescott) in the first round. Collectively, the Alberta native earned $5,136.98, 61.33 world points and 305 Canadian points. Now ranked No.3 in the PBR Canada national standings, Radford trails No.1 Cody Coverchuk (Meadow Lake, Saskatchewan) by 78.34 points. Cole Young (Fairview, Alberta) and Tim Lipsett (Lumsden, Saskatchewan) tied for second after recording matching 85-point efforts in Round 1, riding Smash (Skori Bucking Bulls) and Overcooked (Vold/Prescott) respectively. For the finish, each rider earned $2,503.48, 25 world points and 160 Canadian points. Lipsett, another double entry, also finished fourth at the tour’s first visit to the British Columbia town. The 23-year-old rode Ulterra’s Counter Force (Wild Hoggs Bucking Bulls) for 84 points in Round 1, but was unable to compete on his final round bull due injury. He earned an additional $1,300.50 and 15 world points for his second Top-5 finish of the night. Todd Chotowetz (Major, Saskatchewan) finished fifth courtesy of an 83-point effort on Forty Creek (S&E Bucking Bulls) in the first round. Chotowetz leaves Kelowna with $741.29 and 10 world points. Justin Lloyd (Tisdale, Saskatchewan) and Edgar Durazo (Monteczuma, Sonora, Mexico) joined Radford tied for sixth after both recorded 82-point efforts in Round 1. Lloyd rode Whiplash (Wild Hoggs Bucking Bulls), while Durazo bested Gismo (S&E Bucking Bulls). For their work, each earned 1.33 world points and 30 Canadian points. PBR Canada’s Touring Pro Division now travels to Elnora, Alberta for the 19th Annual Elnora Brahma Rama on August 12th at 7:30 p.m. MT. Round One: 1. (tie) Cole Young and Tim Lipsett, 85 points, $682.76; 3. Tim Lipsett, 84, $390.15; 4. Todd Chotowetz, 83, $195.08; 5. (tie) Brock Radford, Edgar Durazo and Justin Lloyd, 82; 8. Brock Radford, 80; 9. Edgar Durazo, 79.5. Championship Round: 1. Brock Radford, 84.5 points, $780.30. Overall (Aggregate, Total Money, World Points Earned): 1. Brock Radford, 164.5 points, $5,136.98, 60 world points; 2. (tie) Cole Young and Tim Lipsett, 85, $2,503.46, 25; 4. Tim Lipsett, 84, $1,300.50, 15; 5. Todd Chotowetz, 83, $741.29, 10; 6. (tie) Brock Radford, Edgar Durazo and Justin Lloyd, 82, $273.10, 1.67. KELOWNA, British Columbia (May 25, 2017) — 3D Bull Riding Inc. is proud to announce the Okanagan PBR Challenge presented by Noralta Lodge on August 2nd, 2017 at Prospera Place. The Okanagan PBR Challenge presented by Noralta Lodge starts at 7:30pm on August 2nd and is the only British Columbia stop on the 2017 PBR Canada Touring Pro Division schedule. “It’s the hottest ticket in the hottest place to be in August,” said Davidson. Tickets start at only $39.50 and will go on sale online through SelectYourTickets.com on Friday May 26th at 10am, the Box Office at 1223 Water Street, or by calling (250) 762-5050. Okanagan area fans will be treated to competition featuring Canada’s top bull riders and bucking bull athletes. Scheduled to compete in Kelowna are 2013 PBR Canada Champion Zane Lambert, current PBR Canada points leader Jared Parsonage of Maple Creek, SK not to be out-done by BC’s very own Jake Gardiner of Fort St. John and Jackson Scott of Kamloops. The 2017 3D Bull Riding Tour makes stops in Alberta centres of Lethbridge, Magrath and Wanham and in Lashburn, North Battleford and Manor, Saskatchewan. The PBR Canada Touring Pro (CTP) is the developmental tour of PBR Canada, where established veterans and newcomers to the professional ranks compete against some of the most famous bucking bulls. 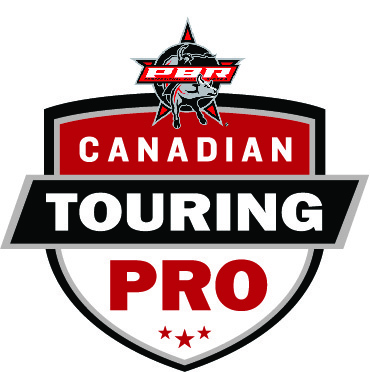 The CTP gives riders the opportunity to compete in PBR Canada-sanctioned events while earning money to qualify for the Monster Energy Tour and prestigious Canadian National Finals. NIPAWIN, Saskatchewan — It took five years but now the Nipawin RONA PBR has a home province champion. That champion? Maple Creek’s tall drink of water that is Jared Parsonage. Parsonage put up 84 points on Canadian Outlaw from the Vold/Prescott string of buckers in round one for third place and notched the only ride in the events finals for the win. A date with Minion Stuart has brought many a cowboy success in the past couple years. The score on Friday night in Jared’s first dance with the superstar was worth 87.5 points, $4,515.64 and 60 world points. Second place on the evening went to Idaho’s Brady Oleson, the winner from Prince Albert and the lone American bull rider to win on the PBR Canada Touring Pro Division Schedule so far in 2017. Oleson put up 85 points on Whoote Blues from Vold/Prescott for $2,496.88 and 30 world points which moved him right up to 46th in the PBR’s World Standings. Fellow American Cody Casper, of Pacific, WA was 84.5 in round one but didn’t connect in the final round. Casper earned $1,593.76 and 20 world points for his work. British Columbia Rookie Jake Gardner of Fort St. John was 81 points in round one for $903.13 and 15 world points, both his first in the PBR. Dalton Rudman, 2016 Nipawin RONA PBR Champion Thor Hoefer and Brock Radford rounded out the top five for five world points a man. First Buckle – Rafter 8 was the top bull of the night with a score of 44.5 points. Official results from the Nipawin RONA PBR in Nipawin, SK at the Centennial Arena on May 12th, 2017. Round one: 1. Brady Oleson on Vold/Prescott’s Whoote Blues, 85 points, $637.50; 2. Cody Casper, 84.5, $478.13; 3. Jared Parsonage, 84, $318.75; 4. Jake Gardner, 81, $159.38; 5. (tie) Dalton Rudman, Thor Hoefer and Brock Radford, 77.5; 8. Justin Lloyd, 74; 9. Zane Lambert, 71; 10. Jordan Hansen, 62. Aggregate, total money and points earned: 1. Jared Parsonage – Maple Creek, SK – 171.5 points on two bulls, $4,515.64, 60 points; 2. Brady Oleson – Blackfoot, ID – 85 points on one bull, $2,496.88, 30; 3. Cody Casper – Pacific, WA – 84.5, $1,593.76, 20; 4. Jake Gardner – Fort St. John, BC – 81, $903.13, 15; 5. (tie) Dalton Rudman – Kenilworth, UT – Thor Hoefer – Priest Falls, ID and Brock Radford – DeWinton, AB – 77.5, $322.28 each, 5 points each; 8. Justin Lloyd – Tisdale, SK – 74 points, $148.75. The 5th Annual Nipawin RONA PBR was stop number five on the 2017 PBR Canada Touring Pro Division schedule. Next up is stop number six on Saturday May 27th in Swift Current, SK for the Cody Snyder Invitational.